As delicate looking as a rose bush, but as hearty as an azalea, rozaleas are the perfect plant to send to those who love dainty but don’t do well with anything finicky. Full and showy our rozealea plant arrives in bud-and-bloom for maximum enjoyment. 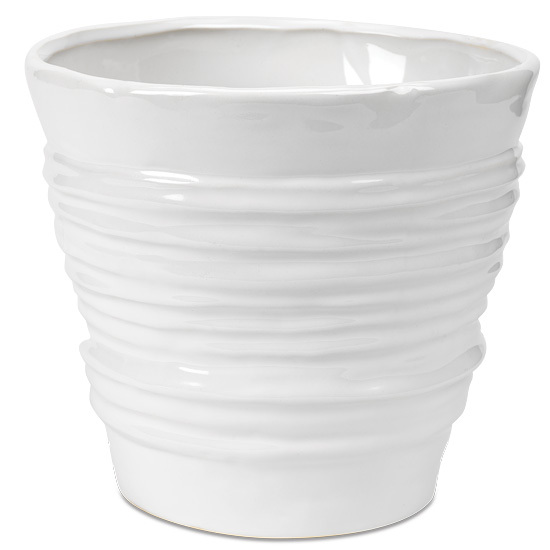 To complement its blush pink blooms, we’re featuring it in a white ceramic cachepot. Place plant in a cool area that receives filtered sunlight. Outdoors, place plant where it will receive partial shade; morning light is preferred. Do not allow the azalea to wilt. Wilting will shorten the flowering time. Never let the soil become dry. It should always be a bit moist. Water plant by pouring 10 to 12 ounces of water into top of pot until water runs out the bottom – do this over a sink. Be sure to allow for proper drainage. Do not let azalea sit in water for more than one hour. Some humidity is desirable – an occasional misting is helpful. Remove spent blossoms and yellowing leaves. Prune the plant occasionally to maintain a good shape.